Expand search to view more listings in and around Staten Island. 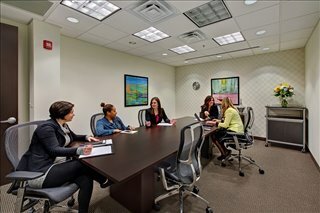 See more offices in and around Staten Island. We have 1 office building with business space available in Staten Island. This office space is available immediately, and offers flexible rental terms to suit your business and make the transition as easy as possible. The Offices.net service is designed to get you into the office space that your business needs as quickly and easily as possible, and we would be happy to assist in any way. Our mission is to help your company find the perfect work environment, arrange a rental agreement that suits you, and get you into your new offices as quickly and easily as possible. There are a wide range of office types available, from conventional space to serviced offices to single hot desks to fixed desks and private office suites for teams and the largest organizations. We would be happy to help you navigate the options and find the solution that is best for your company. Most of the offices we list offer a wide range of business support services which include telecommunications set up, high speed internet and network wiring, trained a reception area and office administration personnel and, in some cases, IT support staff. Additionally, most of the business centers also provide spacious conference and meeting room amenities with free car parking, kitchen areas and, in some cases, even onsite gyms. Choose any of the offices for lease on this page. All of the Staten Island offices for rent on this site are situated in convenient business locations and are offered on flexible terms, allowing you to rent office space for as long as you need. Whether you are looking for short or long term office space or the flexibility of being able to expand and contract your operations as necessary, Offices.net is here to help. Search through the available office space on the site or phone us to discuss your business specific requirements.